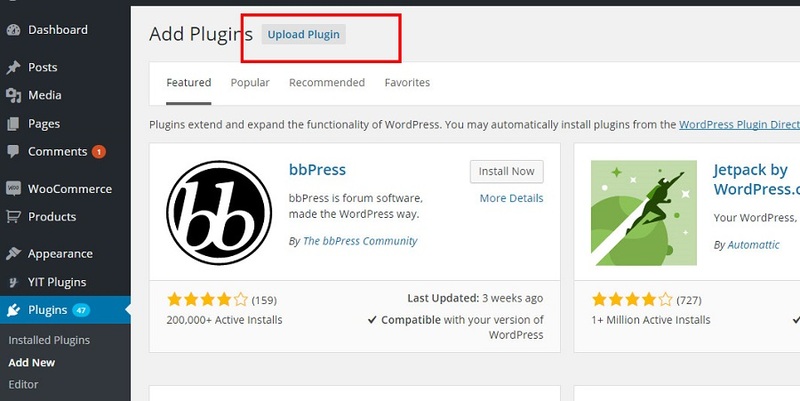 Install the plugin in your WordPress platform: add the .zip file you have downloaded in the WordPress plugins directory (wp-content->plugins). You can also achieve the same result using the upload feature of WordPress to upload the Zip file. Then click on the "Add new" option in you can find in Plugins, anc click on the "Upload Plugin" button. After completing the upload of the plugin, you can activate it. Go to "Plugins", select the plugin and click on the "Activate" option.